My brother has delved into our genealogy extensively and found many interesting people in our ancestry. For instance, we are a direct descendant of one of the men who planted the Union flag at the top of Lookout Mountain in Georgia during the Civil War. Another one of our ancestors fought alongside General George Washington during the French and Indian Wars. However, if you were able to compare our DNA with our ancestors, we wouldn’t share any more of it than we would with perfect strangers. Two summers ago we went to Monticello, Thomas Jefferson‘s home in Virginia, for the first time. He was an avid gardner, and the gardens there are still magnificent. Most of the plants are “descendants” of the original plants Jefferson planted. Seeds were gathered and replanted, the next season’s seeds were gathered and replanted, and so on and so on. 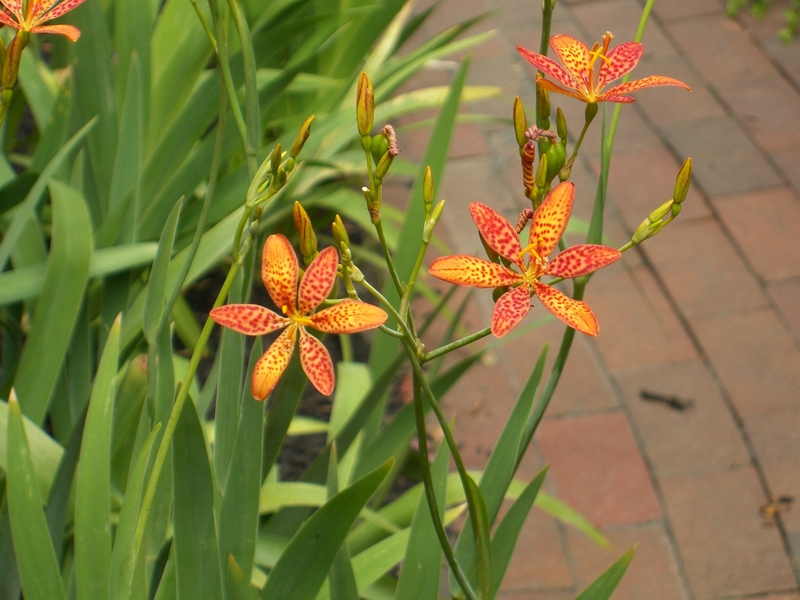 They sell these seeds in their gift shop at Monticello, and we purchased a packet of Blackberry Lily seeds and planted them in our courtyard. The next summer, a few scraggly plants came up, but no flowers. This summer, however, we were rewarded with a host of flowers from Jefferson’s seeds, and what I find amazing is that, if you were to compare the DNA from these flowers in our garden to the flowers that were growing in Jefferson’s time, it would be the same. Wow! I have a piece of history! In honor of our July 4th, Independence Day, holiday and of Thomas Jefferson, the author of our Declaration of Independence, I’m sharing these pictures of Monticello and our blackberry lilies. 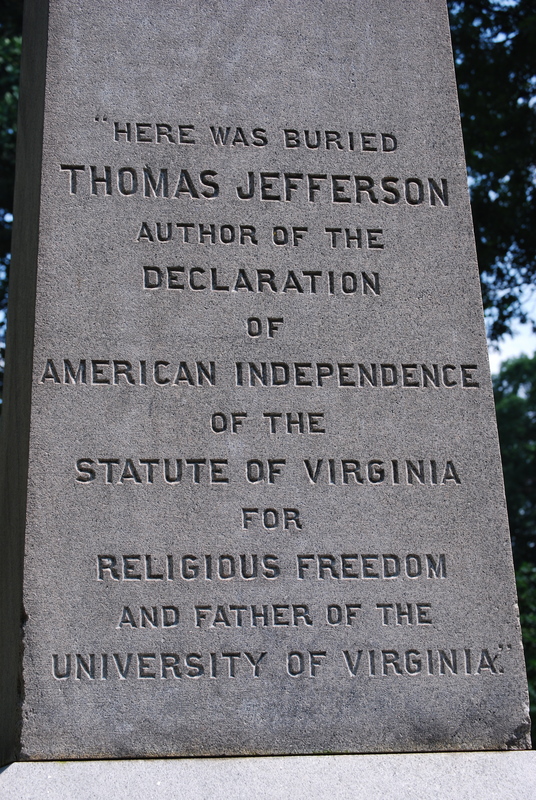 This entry was posted in Just Blogging and tagged Declaration of independence, genealogy, Independence Day, life, Lookout Mountain, Thomas Jefferson. Bookmark the permalink. Wonderful story and thanks for sharing the pictures of the lillies/irises. My dad was fond of propagating plants by cuttings, and would visit people’s garden’s with pocket knife in hand, taking little snips that he would take home and grow into multiple plants. He’d probably get kicked out of Monticello, or any other famous garden, for trying that there. Propagating cuttings was another way that early settlers shared and spread plants. Today, many hybrid plants are tradmarked and taking cuttings from them would be considered illegal, so don’t try this yourself. Don’t worry; I have no idea how to propagate flowers or do anything fancy with them. I just stick them in the ground and hope for the best. It really is nice, though, that you can purchase the Monticello seeds there or online. I think the website is Monticello.org. Wow! What a great thought, planting seeds of love in people. You are so right; we never know what our influence will do to others. Thanks, Robin. You always have such beautiful pictures. 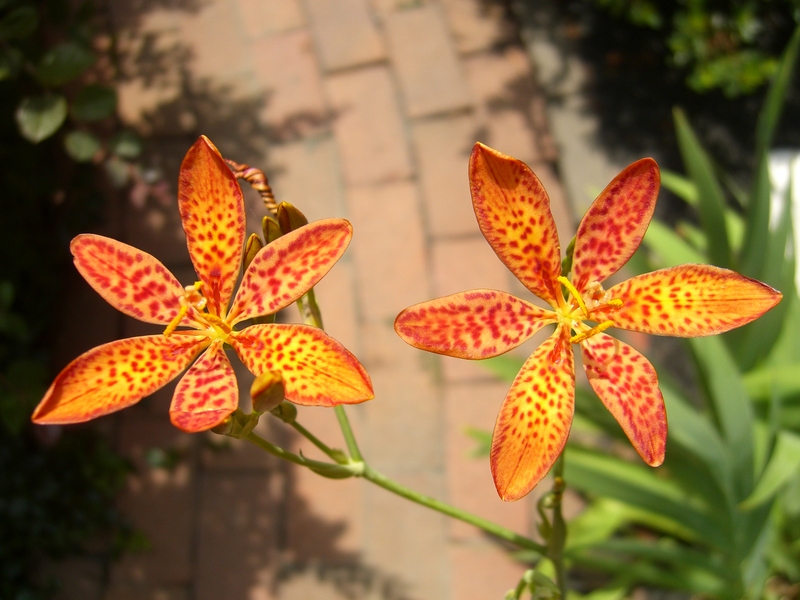 Those blackberry lilies are absolutely amazing! I love the idea of heirloom plants; in our garden I haven’t gone out of my way to plant any, but we have old-fashioned bleeding heart plants planted by some previous resident of our old house. Every spring when they bloom, I think about who it might be that planted them. You’ve encouraged me to look online at some of the Jefferson plants. Very cool post! Thanks, Julia. 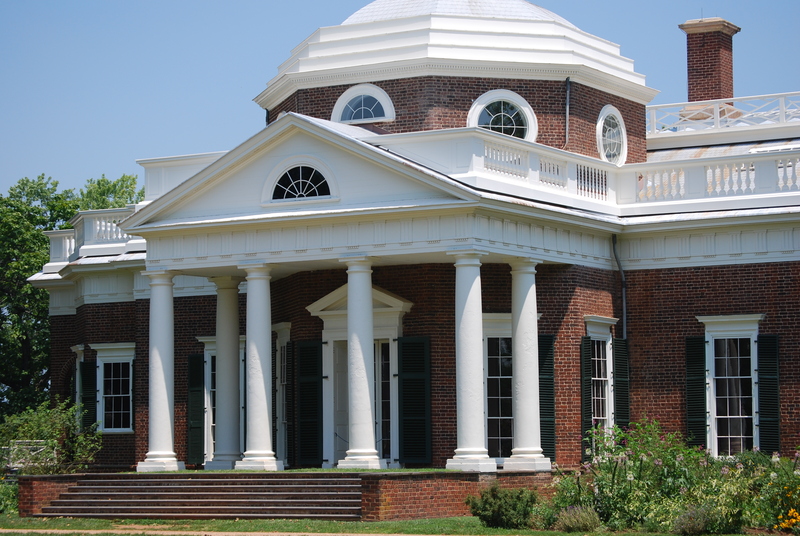 Have you ever been to Monticello? They sell their seeds online. Nice flowers! I haven’t seen blackberry lilies before, I wonder if they’ll grow here in the UK? I’m puzzled about why they would have identical DNA to their great, …, great grand parents in Jefferson’s day. Surely plant seed are usually fertilized by pollen from another plant, so their DNA mixes just like ours? I enjoy your blog – a nice window into life in the USA – thanks. Hmmm…I don’t know how that works. I’ll have to ask a botanist. I’ll be crushed if I’m wrong. Surely their DNA would be very similar if they pollinated from flowers from the same seeds? Happy 4th of July Susan. Enjoy- is the family there yet? Yes, they are here and we’re loving it. Thanks for thinking of me, Judith. What a beautiful piece of history to be able to carry forward! I know! We wish we had a bigger yard so we could plant other varieties of Jefferson’s flowers. What a delightful presentation for the 4th of July! But tell me please: on which side of the family were these ancestors that Mark found? Grandma Mattie’s side. I’ll send you more info after Emily and the gang leave. I actually could make some copies of “stuff” and mail it to you. Thanks, Margie! I’d say the same to you except, if memory serves me well, you live in Canada!